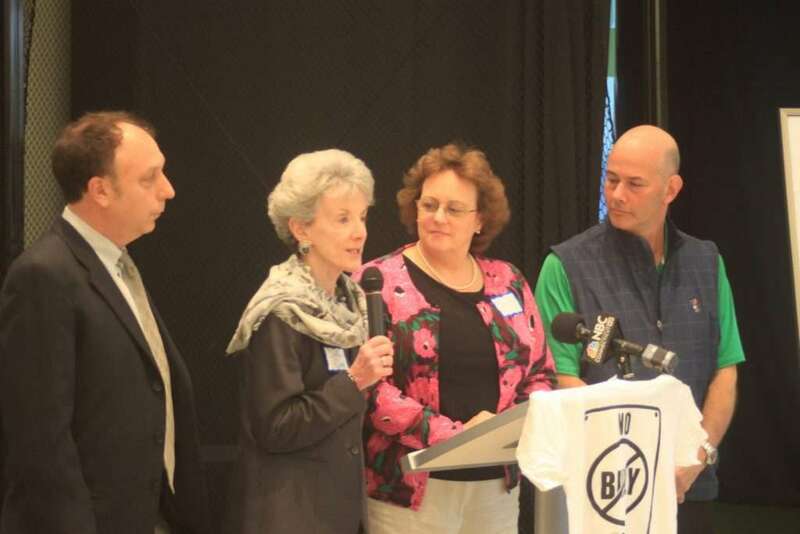 The Middlesex County Community Foundation’s Council of Business Partners (CBP) is comprised of local business leaders dedicated to giving back to the community that has supported them over the years. Marc Levin (far right), President of Malloves Jewelers and member of the MCCF Council of Business Partners, was concerned to learn that bullying can be a larger problem in schools than drugs or alcohol. The group set out to research ways it could specifically impact the community’s youth. The group’s research led to its first project, the “No Bully Zone” initiative, using the expertise of the Rushford Center in the Fall of 2009. Bullying in schools has become a serious and widespread problem and the group felt that an anti-bullying campaign could impact the area’s youth in a meaningful way. The collaboration between the Rushford Center and the CBP leveraged the Council’s financial resources and business contacts with Rushford’s expertise. The result is a program that utilizes peer leaders to educate other students and work with the school community to develop a safe learning environment for everyone. For specific program information about the “No Bully Zone” program, contact Sheryl Sprague, Rushford Prevention Manager at 203-630-5357 or visit www.rushford.org.